When you think of the word protection, what comes to mind? Do you think of physical safety and shelter? Do you think of national defense and security? Do you think of your bank pin and passwords? As we go throughout a typical day, there are dozens of ways we protect ourselves and those close to us. Sometimes these activities are done so automatically, they are unconscious behaviors. Whether it’s walking a child across the street, locking our homes, or wearing a jacket in the winter time, we all engage in activities for the sake of protection. For those of us who work in testing, protection involves fortifying tests with a large quantity of items, guarding against item theft, preventing cheating through a variety of ever-adapting methods, and (most importantly) upholding the shield of fairness to gain a true measure of a person’s ability. Whether a high school senior gets the score necessary to get into their dream college or a nursing student can become a practitioner, our exams represent high stakes for test takers. As such, we must protect the validity of the scores they produce. Unfortunately, test security is not one of those unconscious behaviors we engage in every day. We have to think about how to best protect our items and tests, then take deliberate actions (sometimes even extraordinary measures) to provide appropriate protection. It isn’t an easy job, but it is a vital one. Many testing professionals find the prospect of protecting their exams daunting. Where do you start? What are the priorities? How do you go about knowing what to protect? Fortunately, there is a simple way to get started. 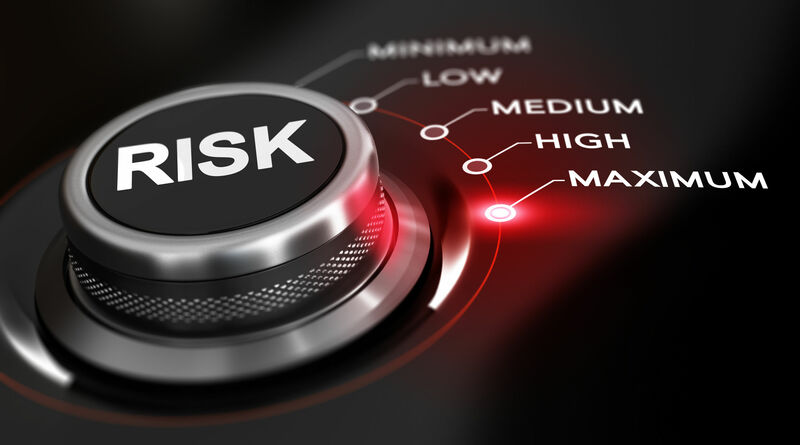 The first step for anyone facing what appears to be the overwhelming task of test security is this: conduct a risk assessment and figure out what the greatest threats are to your program. Testing programs today are bombarded by what seems to be an ever-growing list of threats from test fraud. A compromised test can lead to the loss of carefully-crafted test items, liability resulting from unqualified individuals performing a job, damage to a testing program’s reputation, and the loss of trust in an individual’s exam scores. In trying to mitigate these consequences, it is easy to get overwhelmed by just how many ways someone can cheat or steal questions. It is easy to feel like it is impossible to stop them all. Fortunately, for every program there are certain threats that are more dangerous than others, that hold the greatest risk because they will do the most damage. While one program might be plagued by thoughts of unauthorized access to the item banking system, another might be concerned with the unsanctioned distribution of items over the Internet. Every testing program is unique, and as such, the threats to every program are unique. The key to effective test security is figuring out which threats pose the greatest risks to your specific program, and focusing your resources there. Let’s use an example from the non-testing world to clarify. There are numerous ways to protect a building from burglars: locks on windows and doors, video cameras, guard dogs, iron gates, security alarms, etc. However, not every building needs to employ the same security measures to effectively protect it. While it makes sense for a bank to employ armed guards and devices to detect someone tunneling into their vault, it doesn’t make much sense to have those same measures to protect your apartment – locks, alarms, and maybe a dog will suffice. The same is true for test security measures; there is no one-size-fits-all solution. To be effective, security policies need to be tailored to address the threats that are the highest risk for each specific program. Fortunately, figuring out the greatest risks to your program is straightforward. The Caveon Risk Assessment Tool is located on the Caveon website. It is quick and free, and it will help you quantify your test security threats and prioritize which actions should be taken. Every testing program, whether new to test security or long-standing, should conduct a risk assessment using this tool on a regular basis to confirm they are allocating their test security resources in the most effective ways possible…. (continue reading).